The huge 1918 influenza pandemic, caused by the great-grandfather of today’s swine-origin pandemic H1N1, wasn’t the first time influenza was seen in people — not by a couple of thousand years. 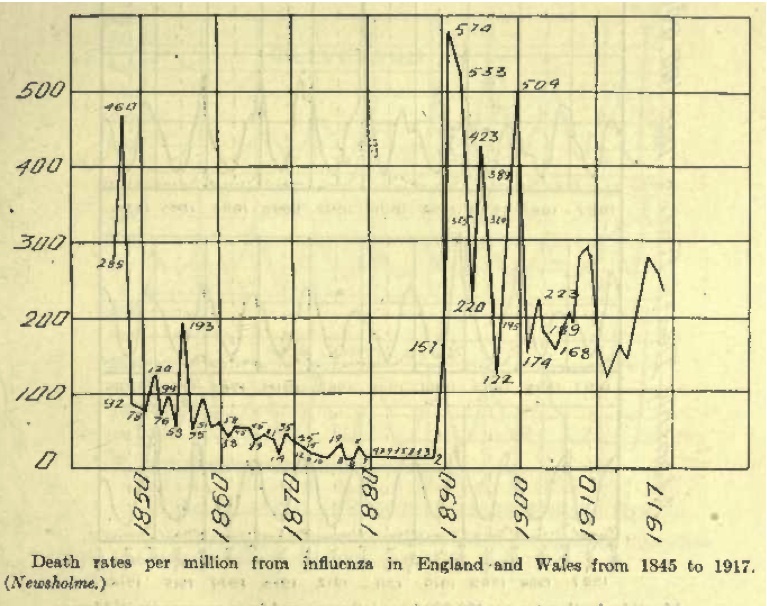 1 Seasonal flu was around before it, just as it has been since; and epidemics and pandemics regularly swept through the world before 1918. 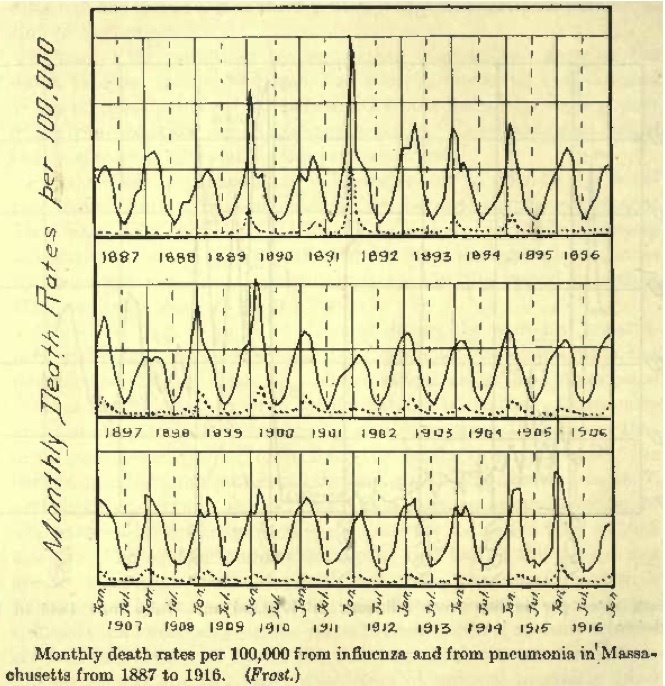 The charts below, published in 1921,2 show completely modern-looking patterns of influenza. In spite of all we’ve learned about influenza since 1845, we haven’t been able to do much to change its patterns. It will be amazing to see the progression of H1N1 Swine Flu in the next few years. there is a cool google maps that shows the progression of the flu across the globe.